Prime Day. 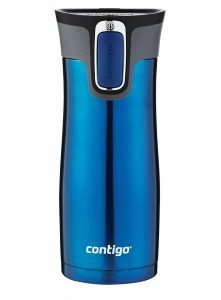 Amazon has a Contigo AUTOSEAL West Loop Vacuum Insulated Stainless Steel Travel Mug Sale, $11.19 (reg. $20) with Free Shipping $25 or Prime. AUTOSEAL technology is leak and spill proof. Next lowest price $20. Rated 4.3 out of 5 stars.